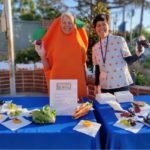 Putting an educational spin on the farm to-table model, Marquez Charter School’s Edible Garden program offers a garden-to-classroom experience for Pacific Palisades elementary school students. 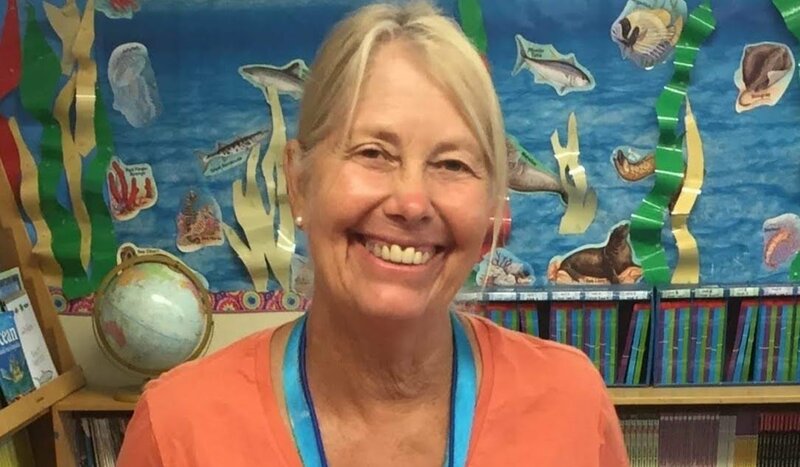 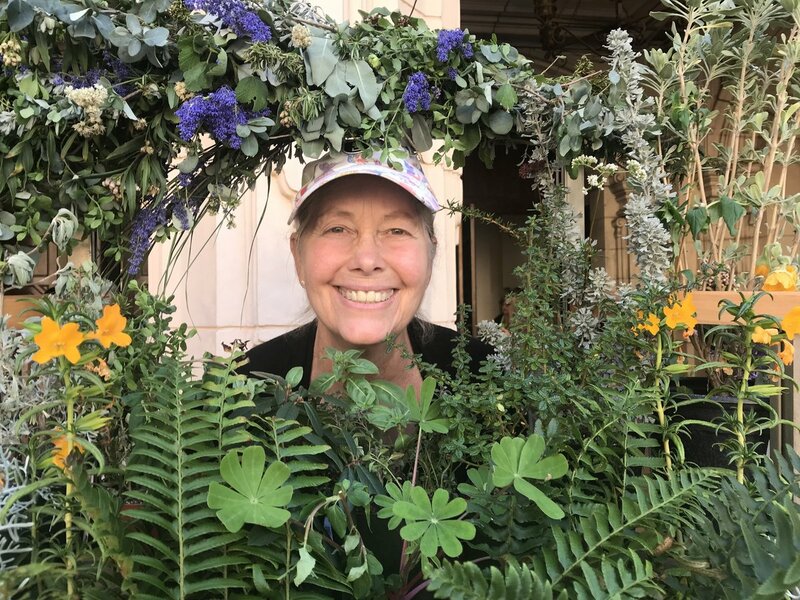 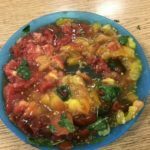 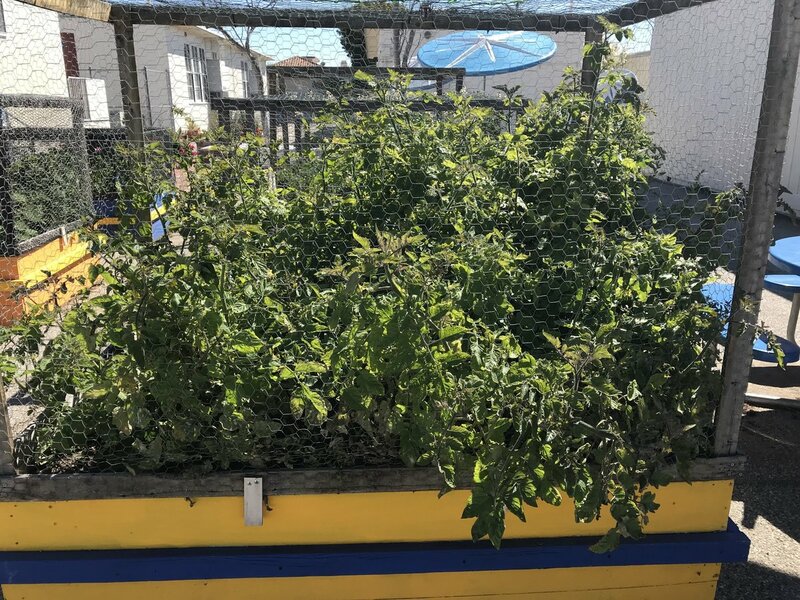 The current edible garden has its roots in Marie Steckmest, a UCCE Master Gardener, whose mission within the “community (is) to encourage edible gardening (enhance school gardens) and especially encourage young gardeners,” as she writes in the Marquez Charter School Garden blog. 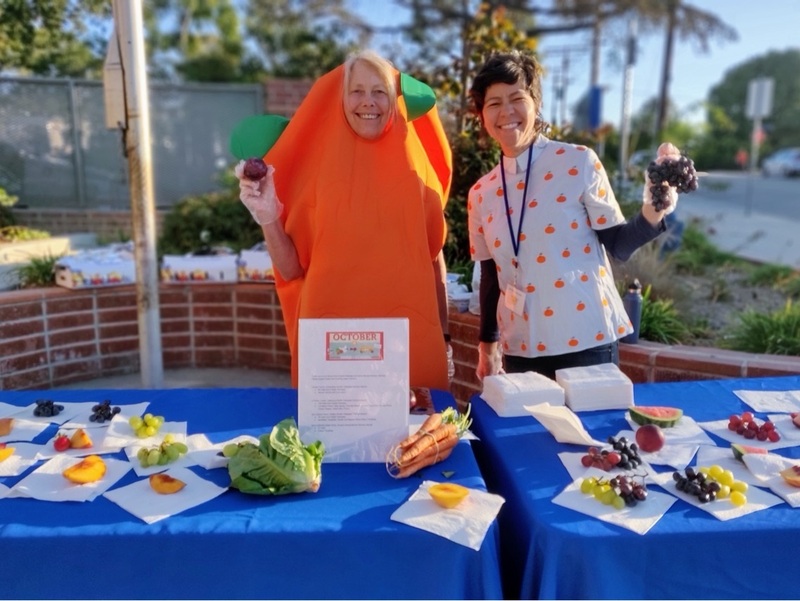 Created to teach children about where their food comes from and to encourage healthy eating, the Edible Garden Program was established in 1994 by a group of dedicated parents and staff. 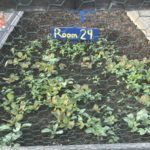 Since then, their six raised beds have grown to 18, where students plant and tend a variety of herbs and vegetables. 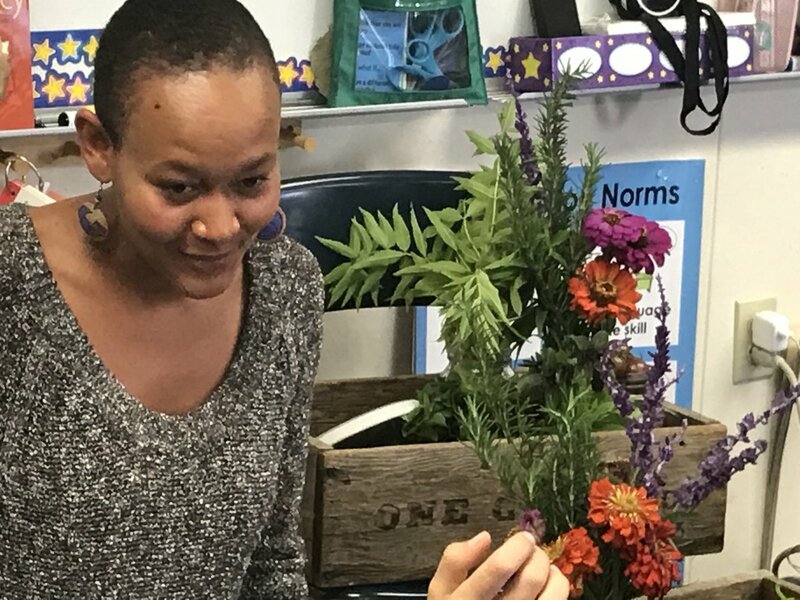 What began with just one class has now blossomed into a K-5 program that provides opportunities in which “all children should be able to garden,” as Steckmest puts it. 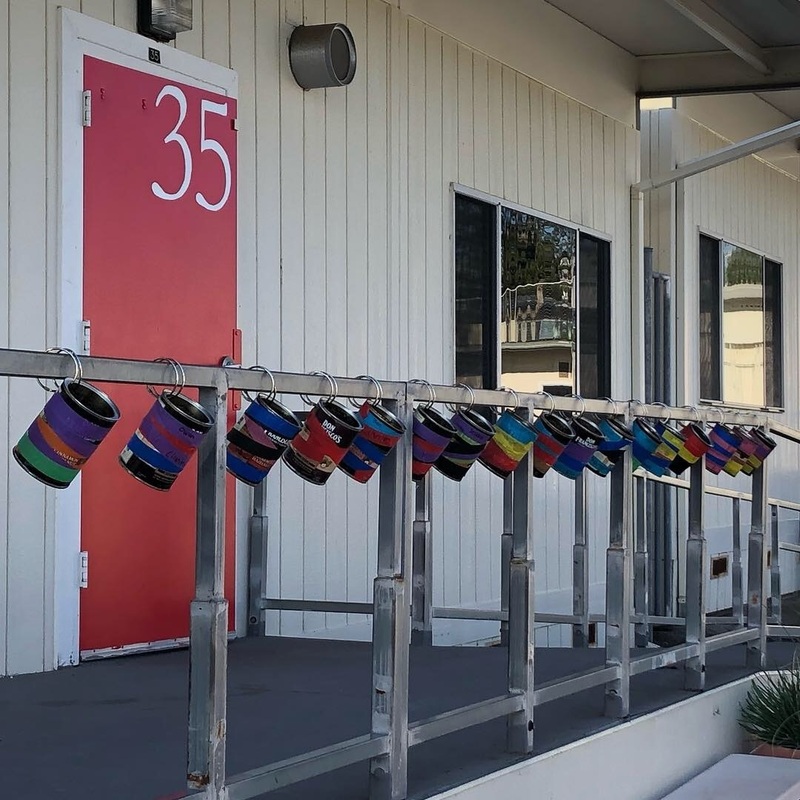 A butterfly/herb garden, compost bin, and teaching and potting areas provide some 500 students with outdoor education opportunities each school year. 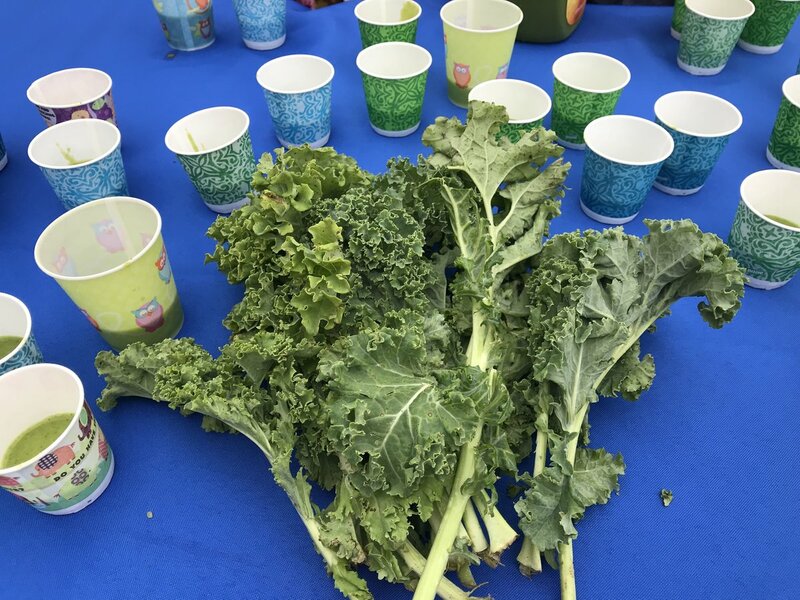 The program’s Seed to Table approach allows children to plant, grow and then eat what they harvest. 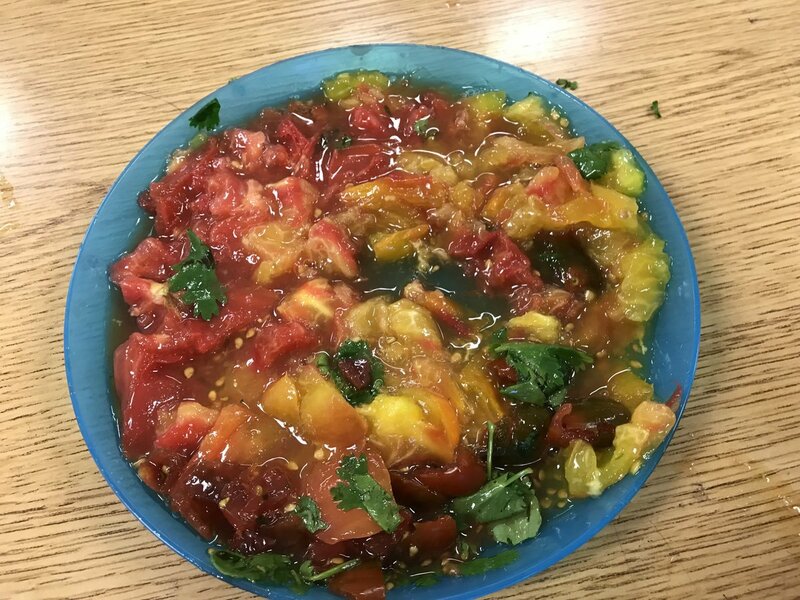 Students actively participate in the entire process, from planting seeds and seedlings to putting vegetables on their plates that they’ve grown themselves. 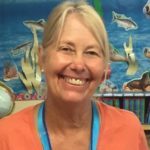 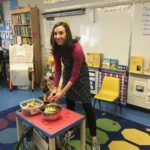 “I have noticed more students eating and enjoying vegetables that we have grown at school,” says third grade teacher Laurie Farrell. 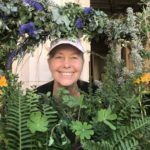 The garden program benefits greatly from community support, says Steckmest. 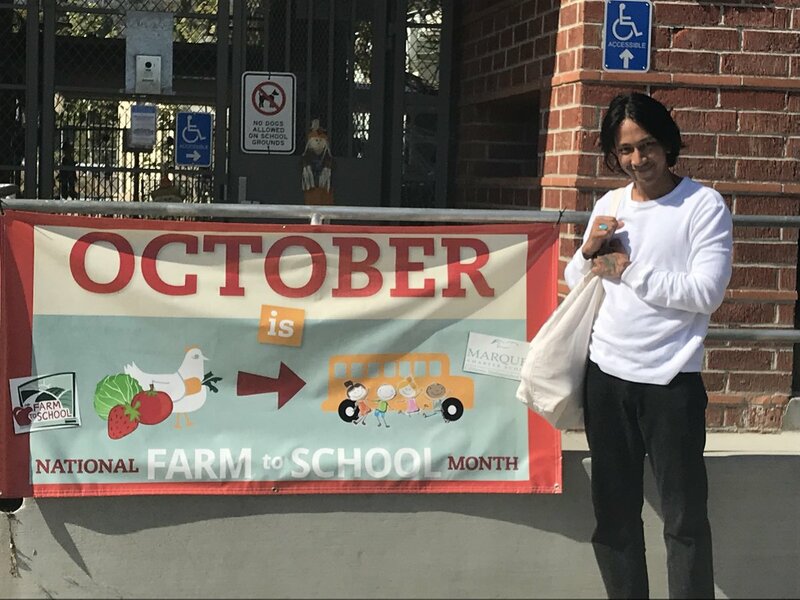 Local retailers such as Gelson’s, Vintage Grocers and Kellogg’s Garden Products donate seeds as well as grants and supplements, and guest chefs from Tallulah’s, Tratto, Pono Burger, Sweet Rose Creamery and Sweet Laurel, as well as CC Consalvo and Doug Silberberg, visited the classrooms in celebration of Farm to School Month to help students prepare meals. 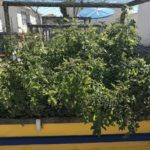 In addition, several community members volunteer to teach and maintain the garden. 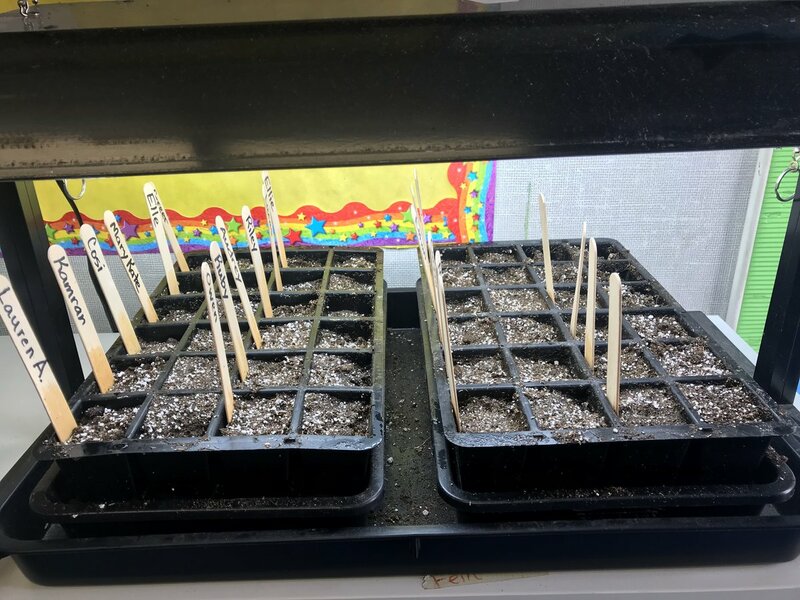 Second grade students start seeds under grow lights as well as directly seeding into their garden beds. 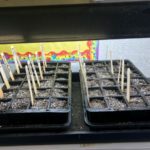 “I’m very excited to see (the seeds) when they get bigger!” says second grader Lauren, adding, “it’s really fun to plant seeds!” Students also learn how to compost. 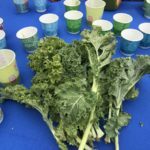 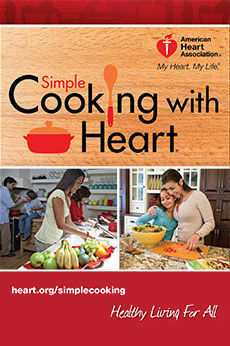 “Composting is an easy and educational way to recycle food waste,” notes Steckmest. 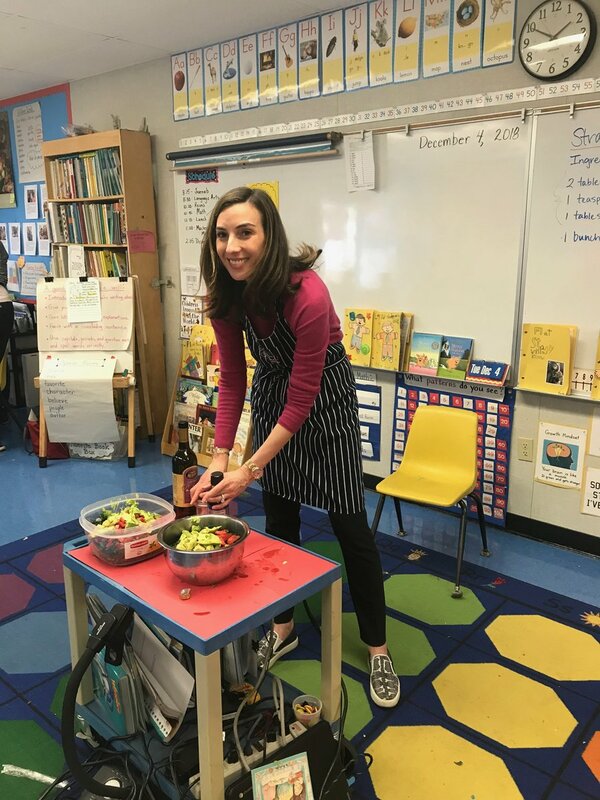 Third graders learn about “eating a rainbow,” herbs and the three sisters; fourth graders study California native plants and plant vegetables; and fifth graders read about Thomas Jefferson’s garden. 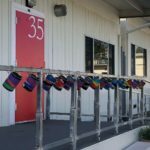 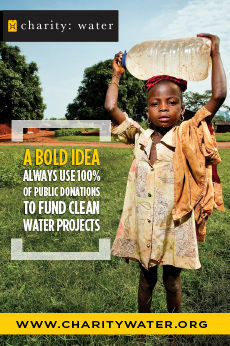 These efforts inspire the community as a whole, because the students take what they learn in the classroom back home with them. 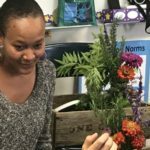 In addition, students and parents take home seeds during a spring seed giveaway. 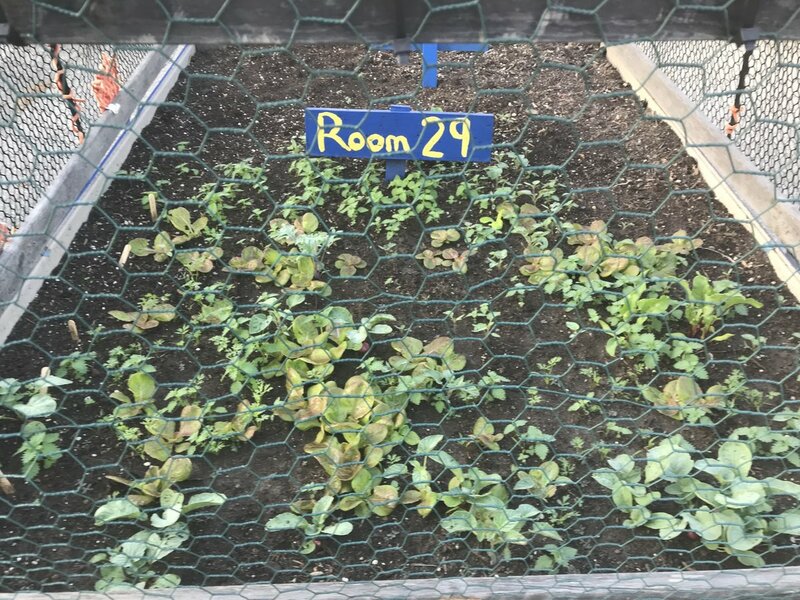 “Thanks to the Marquez garden program, my family was inspired to have a backyard garden, and now we have lots of awesome veggies!” says parent Jay Kridel. 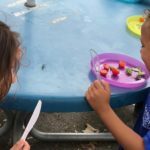 Efforts of leaders like Steckmest make it possible for students to learn firsthand about nature. 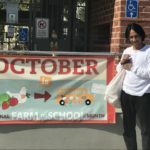 To learn more about the Edible Garden program at Marquez Charter School, visit MarquezSchoolEdibleGarden.blogspot.com.